Train Up First Part 1 - COUPLECO. ​This is the stuff of a Hollywood movie. Think Stand And Deliver meets The Blind Side. But instead of Hollywood stars, we have a real couple from Tampa, Florida. Their names are Andria Rogers Owen and Dominic Owen, and they’re an example of what happens when you have a servant’s heart and you’re driven to help people. Their story starts with helping some kids on the high-school football team, and it snowballs into a non-profit organization with national reach. Train Up First, known as TUF, is capturing the attention of educators across the country. 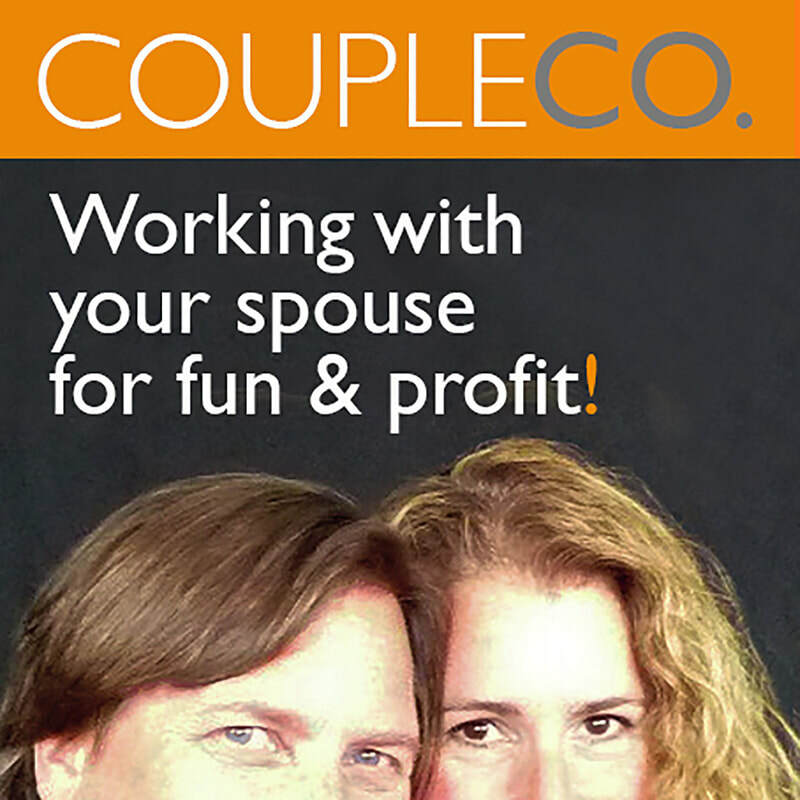 Dominic and Andria’s business essentially began at their kitchen table. Now, they’re helping tens of thousands of kids across the country do better in school and be better people out in the world. And it all began with a conversation between a Florida mom, and a couple of underprivileged kids who mistakenly thought they were getting a full ride to a division one college and then the NFL. This couple’s story could be a Hollywood movie. Andrea and Dominic are a regular couple from Tampa, Florida. They’re also an example of what happens when you have a servant heart and are driven to help people. They started by helping some high school kids on the football team, and their kitchen-table effort has ballooned into a non-profit national organization. Train Up First (TUF) is also capturing the attention of educators across the country. Andrea used to be an interior designer. Dominic used to coach tennis. Now they are writing a curriculum to help kids succeed in school and in life. In this episode, hear the story of how TUF started at their kitchen table, why they both left their careers to start a non-profit, and how the journey of how TUF has grown and evolved—and they’ve done so right along with it. Blaine: 02:32 We are in Tampa, Florida, with Dominic and Andria Owen of TUF. Blaine: 02:40 Train Up First. This is actually worthy of a Hollywood movie. Honey: 02:43 This is the feel good story of the decade. It's wonderful. Blaine: 02:47 What we're going to do is ask you to explain the business. It's a non-profit. But before we do that, we still have to ask the single most important question we ask any CoupleCo. Honey: 02:56 Oh we're going to back up. Blaine: 02:58 How did you two meet? Oh, Dominic is grinning. Honey: 03:03 And he pointed to Andria. Andria: 03:06 We met on a tennis court. Tennis is both of our passions and Dom was coaching in Tampa and somebody told me he was the best pro out there. And his name, Dominic, I thought he was going to be a dark, Italian man. Andria: 03:26 So I was pleasantly surprised that he did have very blonde hair, big blue eyes and he was a great coach. And I think I was his perfect student, right? Dominic: 03:39 Yeah, she had a hard time listening at first but slowly but surely she ... no, no. Very good. But yeah, no, we both love to work out. We love high intensity. I think a lot of, obviously, tennis is mutually one of those things we love, but a lot of other things the same. We share the same passions for so I think that was just the initial, obviously, meeting point. Dominic: 04:06 From there, we're pretty passionate but intense, especially about our mission that we share now. Blaine: 04:13 Andria, what were you doing at the time? Did you have another career? Andria: 04:19 I love renovating houses so I done 13 houses, renovated and interior design, which I love. That's a passion. I'm very artsy in that way. So, yeah. Honey: 04:34 So how many tennis lessons before ... yeah, more than tennis? Dominic: 04:38 I don't know. I think that's tough to put a number on. But definitely we got to know each other over the course of time and so forth. But I think it was just a good place for us to meet, talk, and just know each other and just from that, we shared a lot of similar interests and passions. Andria: 05:13 And he, I'll brag on you, he is a great ... He's not an interior designer but he has the best taste and it's funny because I'm so picky and very ... I've always been in charge of my own house and houses that we've done and I think he's into it more than I am now. Blaine: 05:32 I was going to say, did he design the space we're sitting in? Honey: 05:32 So this right here? Andria: 05:35 He, literally, he picked out the furniture, which I would never let anybody do in my house. And he did it and I had full confidence in him. So he's very good at it. Honey: 05:44 That's really tough. Andria: 05:44 He's very good at it. Honey: 05:45 They always say ... People always say instead of working with your spouse that oh the true test of a marriage is building a house, is decorating a house. And so obviously, not a problem for you. Andria: 05:57 Not a problem. It's fun because we both love it. Blaine: 06:00 And just, by the way, we empathize. Honey: 06:02 Yeah, we had a great time because we built our house in Park City and we designed it together and we agreed on virtually everything. Dominic: 06:13 It's great fun, isn't it? Andria: 06:14 It's fun but a lot of couples ... Trust me. Andria: 06:16 As a designer, I was always trying to talk the husband into spending more money on this chair that his wife wanted or something like that so it was really nice not to have that financial battle of ... once. Honey: 06:28 So tennis, more than tennis and romance. Dominic: 06:33 Yep. Yep. Absolutely. Blaine: 06:36 Okay, so then comes a non-profit that we probably need to talk about before we ask the question of what made you decide to do this. Honey: 06:43 Because, Andria, you started it. Andria: 06:46 Right. So we have four kids and our older two boys, at that time, played football at Plant High School, which is a powerhouse football team back when they played, they were ranked in the top ten nationally. And we would have out of state games, which is unheard in high school. We'd go to Texas and play. Andria: 07:04 And they have a huge turn out of ... I mean, the put guys through Division I colleges all the time. And so we have great athletes there. I worked hand in hand ... I mean I just became a team mom and a lot of the boys would end up at our house in the afternoons after school for dinners, for beds, for whatever, and I just realized they didn't have backpacks. And they didn't study and they didn't do homework. And I said, "You know, you guys can come over after, that's great. But our kids are doing their work and you need to participate." And they're like "Oh, we don't have a backpack. We don't do school because we're all going in the NFL and you don't have to ..." blah, blah, blah. And I'm like, "No, no, no, you don't understand. There's a certain GPA and SAT score that you have to have to qualify for NCAA to get to college." Our head coach isn't going to call, at that time, Jimbo Fisher or Irwin Meyer or somebody, "Oh yeah, we'll send him right on." That isn't how it works. And at the same time, the head coach at Plant had five guys on the team, four were seniors, one was a junior, and he said, "Andria, these kids have Division I offers all over the country but they're all academically ineligible." And this is in December of 2009 and they had to become eligible by the first week of February 2010. So eight weeks. Blaine: 08:46 Todd the tutor. Andria: 09:37 It's huge. And they never felt that before. And so it was a domino effect. They felt smarter, they learned more. At first it was a challenge to get them to even come to my house. Where before they would jump in my kids' cars and come but since they knew they had tutoring, they'd plan a haircut. And I would drive in my car and I'd find them and I'd say, "Get in my car. We're going to tutor. You'll thank me one day." They hated it at first. We had a basketball hoop at our old house and I would literally talk to them. We'd go outside, shoot baskets. I'm going to teach you. It was that kind of thing, but finally they were able to sit for hours and they all did well. They all scored high on their SAT and they all went to college and they've all graduated. And they all are working and have degrees. So what happened with those superstars, they became more teachable in the classroom. They actually went to class more. The teachers could not believe how engaged they were. Their senior year after they've already gotten into the school that they'd even come to class. And it just changed the dynamic, of the team, of school being cool and more kids started coming and I started helping more kids and it cost ... We were paying Todd. I was donating my time, but we were paying Todd. So Dom said you wither need to turn your interior design into a super huge company so that we've got funds coming in or start a non-profit because we can't keep this up. And so that really is how TUF transpired. It was with those five kids. One of them ended up living with us for about a year, the last half of his junior year and senior year. Honey: 11:22 You know, I think I know the answer but, was there ever any hesitation, "You know what? This is too much. What are we doing? We got these kids through and we're done." Dominic: 11:31 I mean, I think the biggest thing, the original five was the coach coming to us and seeing the success that they had. Said, "Okay, this is fantastic. We want to duplicate this. Let's do it for the whole team." Andria: 12:50 Worth ethic. Attitude. Dominic: 12:51 ... work ethic. They, yeah, looking at you in the eye when they shake your hand and just feeling good about themself and that energy just transpired in ripple effect on all these other areas of their life. So I think that was the key catalyst to ignite the flame of where we are now. That was the little embers in the fire so to speak. Blaine: 13:13 What makes the two of you, who have careers, go, "We need to start a non-profit? And throw ourselves into it." Honey: 13:19 Yeah, we're putting this first. Blaine: 13:19 It's a daunting task. Andria: 13:24 It just kind of happen. The one side of it was the academic side and like he said, the head coach was like, "Oh, wow, bravo. This is great. We'll do it again next year." And I said, "I will never do it this way again. This is crazy. It's chaos." And then we took in two kids. So at that time we have a 19 year old, 18, 17, 16, 15, and 11. Andria: 13:47 And two more. Honey: 13:48 ... and you just took in two kids cuz it's the right thing to do. Andria: 13:52 Because they needed it at that time. And we love them. They're great. They're still in our lives, big time. That's another story but they're still in our lives and have given back and they're amazing. But anyway, it's interesting because TUF has really evolved, for us working together, because I was doing this really on my own with Todd. Todd ended up going to medical school. And what I realized was sitting around my kitchen table every day was beyond the academic part of it. The life skill part of it, the time management, the goal setting. All these different things, they had no clue how to do school or how to run their own lives. They absolutely had no clue how to communicate with their teachers. They would rather get a zero for not turning in their homework than be able to go up to their teacher and say, "Hey, I had a lot of drama in my house last night and I didn't get it done. Can I turn it in tomorrow?" They didn't have any of these skills and so gradually, I started developing the curriculum. I begged the coach to let me have the whole team of 180 boys, JV and Varsity, every Monday to speak to them. And at first he was like, "We're state champions. We've won four out of five. I've got my process, I've got my structure. That's crazy." But he ended up seeing the value in it and not only did I have them once a week, I had them about four to five times a week. Honey: 15:17 And these are kids from all different backgrounds. Andria: 15:20 All different backgrounds and so on Mondays, I knew they would get tired of hearing me speak so I had speakers come in and ... Role models, men, role models, a few women. I think I had two over the years. Mostly male role models. And kids learned their stories and I was like, "Gosh this is it. Every child in the country needs to hear this speaker we had today because he was so empowering and the kids loved it. So then I thought if we do videos, somehow we'll figure out how to scale those." So a camera crew come in and the sound was awful. We were in a locker room. That's where the speakers have to go and the video was awful and I'm like, "That's not going to work." Anyway, long story short, that's how we deliver our program is through we get role model athletes and now entrepreneurs and music people and actors, etc., and we film them and they tell their story. And then we have curriculum that goes with the topic and it's really a different platform and it's so engaging and it's great. So back to your question, when Dom really saw how this was helping so many people and you probably don't want me to say thing because you always tell me not to, I'm in it. I'm in the curriculum. I'm with the kids. I'm developing content but I am not good on the business side. And he has a great business mind to help this grow. So he didn't quit his job but he was 90% coach, 10% TUF and now that's flip-flopped. Dominic: 16:52 My background is, obviously, I came over here from the UK originally and I played tennis professionally. I was at IMG with Nick Bollettieri in the early 90s with Andre Agassi, Pete Sampras, Hannah Kournikova, Tommy Haas was my roommate, so that was my background. So I went into that and I went into coaching on the professional circuit and then I ... coaching at the facility that I have, then a sports management group, as well, so a sports agency. But from that, with TUF, the potential that I could see was well, okay this is great. A lot of these kids come from broken homes, one parent, no parents. So our whole mission was how do we level the playing field here? How do we give every kid, doesn't matter what background they have, how do we give them these lessons, these lessons that are life lessons in all different topics? And not only that, how do we deliver these lessons to the kids where it's easy for them to access whoever's providing that at a very minimal cost, but also measure the success and scale it? And that's the one thing with life skills, soft skill sets, it's been very difficult for anyone who's been entering that field to really measure the improvement and I think we've got, without beating our own chest, we're excited obviously, but we've got a solution where we feel we have a unique product where we can do that and really measure the success. So basically with the testimonial stories, and we're very fortunate to have a lot of people on board that are recognizable faces, that are well known role models, so from that, really, that's the engagement tool because it keeps the kids interested. That's the motivating part of that and inspirational stories and then like Andria said, we build the curriculum around that. So a lot of the curriculum questions and topics, we're able to measure, number one, how they answer that. And then on a question whether it's a multiple choice or true/false, whatever that may be, pre and post test, we're able to measure their success if they score more than 80% on answering these questions a certain way, we know they've got it. So it's all about the curriculum and we do it in such a fun and engaging way on our platform. Now we have the app so we can deliver everything that we have on a smart phone because every kid has a smart phone. Blaine: 19:15 Yeah, they do. It's interesting. They might not have anything else but they've got a smart phone. Andria: 19:20 And at risk is from the very underprivileged to the very over privileged because, let me tell you. The kids that have more than you could ever ask for ... We have courses on entitlement and attitude and work ... It's both ends of the spectrum. Blaine: 19:37 That's really interesting because I certainly ... I grew up in Greenwich, Connecticut, and I knew people who came from homes with too much money. That was not me. But it's nice to have some of that money, though. But yeah, you certainly see these incredibly wealthy households where the kids are adrift and they've got nothing other than money and it's crazy. Blaine: 19:58 So you're working with people like that? The amount of people I talk to around the country on large organizations, and there's a lot of people doing it, but just not on the, we feel, delivering it in a way where you're really connecting with the kid and then able to measure the success and that's where we are super excited. Dominic: 22:08 ... that's the game changer in all of this because we used to do it in print. We're printing it in China, India, wherever we could get the best quote from in bulk. Andria: 22:18 It's changed so much. Dominic: 22:21 It's difficult because you have little grammatical areas here and there and then you're stuck. Dominic: 22:25 So I think that's the part, the digitization of this has really, not only given us the opportunity to scale and have a really comprehensive curriculum and measurement tool, but most importantly the cost of product for us, it makes it basically affordable. Andria: 22:44 We can add anything. We have a Sportsman Work Ethic, and our testimonial for that is an amazing man. His name is Thaddeus Bullard and he's a WWE superstar, Titus O'Neil, and he does so much all over the country, all over the world, actually. He's everywhere. He just did a video with ... His mother had him when she was 11 as a victim of sexual assault. Dominic: 23:09 Yeah, I know. Andria: 23:09 So as an 11 year old, she did not want to have an abortion and so her grandmother kicked her out of the house and she had to find somebody to live with. But imagine an 11 year old making that choice. Amazing. Blaine: 23:21 It is amazing. Andria: 23:22 And the video, to see her, it's amazing. There's not a dry eye. You cannot watch it. I'm going to show it to you later. But it's amazing and so Thad sent me this video yesterday and in five minutes I had it on our platform. We have a course, for instance, on branding, how you're branding yourself. What's your personal brand? Blaine: 23:41 We've done nothing about branding. Andria: 23:45 Teaching all these kids, you're like, "Oh no, I want a do over. Wait, how do I rebrand?" Oh we need to add part two, rebranding immediately. We can do it on digital platform. We don't have to reprint. Dominic: 24:00 And I think the big thing, after all of this is the delivery method, the ease, us to get the message. That's what it all comes down to is okay how do you reach thousands, hundreds of thousands, millions of kids instantly and be able to really deliver a message that's going to have a positive impact on their life and I think now that's what we're doing and we're also partnering with experts in their field. Honey: 24:24 Yeah, I was going to ask you, because it's not where either of you came from, what you're doing, so putting together a curriculum, where did you look to make sure that you had a rounded program, to make sure that you're presenting this information in a way that's best absorbed? Andria: 24:44 First, I'll go back and say that my parents were amazing parents. My mom probably, she would laugh at this, a little too much over parenting. It was just her 80th birthday and we did a video of all of her friends sent videos about my mom. She still ... She lives 45 minutes away and when she comes over, she still brings newspaper clippings and highlights the newspaper and cuts out articles to bring over or she sends them to my kids in college or wherever they are, still to this day. Blaine: 25:19 She mails paper around the country. Andria: 25:20 Mails paper. She does. Blaine: 25:21 Good for her. Andria: 25:23 And it's amazing. She's always teaching. I found myself in my 40s, every time I'd give advice I'd say, "Well, you know, my mom says ..." Gosh, I'm a mother of four children and I'm still saying, "Well, my mom usually says this." Part of it is imparting all of that knowledge to someone else. My dad was the same way. I'd be at college ... I remember one time I got an article on don't ever go to a loan shark. Do you know what a loan shark is? I think I forgot to tell you that. Funny things. Dominic: 25:54 An abundance of knowledge. In the UK we have this show and big radio station over there call Radio One and whenever I go back they have factoids. It's five factoids for the day. So I feel like she was inundated with a lot of factoids. Dominic: 26:13 Lots of information. Andria: 26:14 So how the curriculum got started was that I was just speaking and then I got asked to do a daily talk at a sports camp for at risk kids at one of our Title I school during the summer. And so I went and gave these talks and then at the very end, the camp director said, "Hey, is there something you can leave us with?" I'm like, "I don't have anything." So I, literally, came up with a paper, an 8 by 11 paper and folded it and stapled it and came up with little activities to leave them with and they were like, "This is great. Can you do this next year?" So that little stapled together paper ended up developing into the workbooks. And when I was working on the workbooks, I started writing this content myself because it's attitude, work ethic, values, your value system, self control and building your brand. So you don't need a psychologist for those topics. And then my mother spent about a week with me and we went through all of it together and she's like, "You've got to add this. You've got to add that." And the things she added were so amazing. So then I got a teacher who is one of the most favorite teachers at Plant because she's so down to earth and she can relate to the kids and she knows their slang and she really talks the talk of a high schooler. I got her to take my proper, because I was history major, English. My mother was an English teacher and we were all grammar snobs around here. Blaine: 27:38 Oh you and I could have great conversations. Andria: 27:40 We are ... I'm such a stickler. So I took all of the content and gave it to the teacher and she put it into the kids' language and the kids love it. But then when I got into courses like how to deal with anger and overcoming anxiety and then we had psychologists, PhDs. I would write all the content and I'd send it and I'd say, "Hey, I want you to add, take out whatever" and basically she was like, "Wow, this stuff is really good. I really wouldn't change any of it." Once we got into substance abuse, I did have a psychologist write all the ... We cover our bases when we're teaching that content so we have the psychologist do that but really the way we take that and then decipher it down into what a student would love. We've tried to make it as un-educational feeling as possible so it's not another course, it's really fun dialogue. Blaine: 28:37 Okay, I need to ... This is a complete aside, but I want to point out, it's almost 8:30 at night. You've had a full day and you've still got this energy going. This is crazy. Honey: 28:48 Yeah, kind of amazing. Blaine: 28:49 Yeah. No, it's really impressive. I need to ask a question that I think will help give people an understanding of the scope of this. The two of you started doing this based on a few kids you had in the house and you never intentionally decided you needed to do this. It kinda happened and then it snowballed and then you finally decided you needed to have a non-profit. So from what amounts to a kitchen table business, it sounds like, with Todd the tutor, what is the scope now? How my kids is this touching? Dominic: 29:24 Right now the kids that have gone through the program, it's over 20,000. Blaine: 29:28 Over 20,000 kids and all in Florida? Dominic: 29:34 And then the potential to expand rapidly. We could easily, within a year be over a million kids. Blaine: 29:47 You're suddenly up and to the right very steeply. Dominic: 29:49 Yeah, yeah, yeah. We're just taking out steps to make sure what we're doing, we're setting the foundation correct and also doing pilots with various schools around the country. So the main thing is we just want it to be simple. We want it to be successful and make sure that whoever's using it, ease of accessibility and very little cost involved and making sure that we just continue the success. Blaine: 30:12 And you guys love what you do, don't you. Dominic: 30:14 We love it. Andria: 30:15 We love it. Blaine: 30:16 Watching the two of you talk about this. Andria: 30:18 It's hard ... So you know how couples always say when you go out on a date, just table the kid talk. You can talk about your kids all night. We're like, "Table the TUF talk." Because that's all was talk about. Honey: 30:30 I was going to ask you are you ever able to turn it off or do you want to? Andria: 30:33 We try. We walk the dogs every morning. We walk the dogs every night, so it's really nice. We have an hour together in the morning, an hour together at night. But then it's funny because we were sitting here this morning, and he was sitting there, I was sitting here and he was on his laptop and I was on mine and I actually sent out a group text with Dom on it, asking something. And he was sitting right there. Because I didn't even want to be distracted and talk to him about it. This is business or whatever, but we were laughing because we sat here for three hours together and didn't say a word. We were both like this. But then there are other times where we just talk and talk about what needs to be done and what we need to do because it's really funny. Dominic: 31:10 But to answer your question, we switch off. I love movies. I love movies, all types of movies. For me, that's an escape to be able to switch the brain off because it is 24/7. And I will, just to backtrack to the beginning, part of the catalyst for this was a mission trip that we did to East Africa, Tanzania, in 2009. Dominic: 31:35 So we went to East Africa, the World Cup, soccer, was in East Africa in 2010. So our mission, we took 35 high school kids to Tanzania and I have a background in soccer as well. I love soccer. Andria: 31:51 Of course since he's from Liverpool. Honey: 31:54 You don't sound like you're from Liverpool. Blaine: 31:59 We know somebody from Liverpool who used to talk about that lovely Richard Starkey boy. Andria: 32:48 We took boxes. We too boxes. Dominic: 32:50 Yeah all the clothes and shoes that we had, we ran out so they ended up giving their own shoes and practically moved to tears. And then when we came back with our boys and we're like "How can we ever be upset about anything that we have in this country again?" Dominic: 33:05 So what we did there and the way the heart opened up and that side of things and really making kids realize wow you've got to be grateful for what you have. Blaine: 33:14 It certainly gives you a perspective on first world problems for sure. Andria: 33:17 Oh yeah. And then the boys ... Tell about Tate and Reeves. They wanted to stay. The older two boys wanted to stay. They were like, "Gosh this is unbelievable. Everybody's so happy here and they have nothing and they're so content and have so much joy." And I said, "Well, you don't have to stay in Africa to help people. We can help people in Tampa Bay." Well, that's not nearly as fun. Blaine: 33:35 It's not the same thing really. Andria: 33:39 That happened ... That was in August, or July, and then it was that December that everything [crosstalk 00:33:45]. Dominic: 33:45 But I think the big thing is was opening up the heart and realizing that giving to people and helping, how that really fulfilled you. Blaine: 33:54 Would you call that a sports mission? I mean, because I've certainly heard of medical missions and educational missions. Andria: 33:59 It was Young Life. Have you ever heard of Young Life? Dominic: 34:03 Yeah, it was a Young Life trip. Andria: 34:03 Young Life Africa. Dominic: 34:04 So that was where, for us, especially before the World Cup, for me, that was a big thing because the kids were just so engaged and they loved it. I think I loved it just as much playing [inaudible 00:34:15]. Honey: 34:14 So what you just talked about, something that we often ask is how did your working together affect the kids and I think with you two, it's not just the fact that you're working together, because there's that dynamic and you're modeling that, but what you're doing, how has this affected the kids? Andria: 34:35 I would have to say all four of them are very missions driven. I think because the boys, before they got to high school, they went to a private Episcopal day school and they saw a certain demographic there. So then when they started playing football in high school, and they did play football, actually, youth football, they see the whole other side of kids who have nothing. And I think when they ... They love helping people. They just love their teammates. They don't see themselves as any different at all and the kids that had absolutely nothing, my kids were always, "Can so and so live with us? Could so and so ... Please can you do this, can you do that?" At one point, my youngest son ... I was getting these huge Uber bills and I knew he was in bed on a school night. And he was like, "But, Mom, so and so couldn't get back to the project. And so and so couldn't ..." so he was using our Uber account to Uber all his friends places that were in dire straits or whatever. So the boys have always had a huge heart for helping people. My daughter, she actually left college, asked us to leave school after her first semester of her sophomore year because she said, "Mom, I feel like I'm just wasting money and I don't know what I want to do in life yet, but I do want to help people and I'm going to chemistry and art history and I know I need an education, but right now I just really want to figure out what I want to do." So we let her go to Hawaii. The three boys were like, "Really? Are you kidding me? The only girl and you let her go to Hawaii for a year?" Blaine: 36:29 I've never heard of this. This is amazing. Dominic: 36:40 And raising money. It's amazing. Blaine: 36:53 Nice to have her back in the continental U.S..
Dominic: 38:18 It's easy to get too much where ... so one hour battery charge a day is good. That's it. Honey: 38:24 Okay then on the lighter side, is there something that's happened in the course of all this that's just like, "Wow, that was wacky"? Blaine: 38:35 What's the craziest thing that's ever happened to you doing this? Andria: 38:40 I think it was when James and Bianca were living with us and we had six kids and that was just a lot. It was just a lot and it was so great and we learned so much. Andria: 39:09 He was the number one linebacker recruit in the country, number one ESPN. The story on him. Dominic: 39:16 He was the young man who lived with us and we took him on all his recruiting trips to Florida or [inaudible 00:39:24] Georgia [inaudible 00:39:24] and so forth. Dominic: 39:27 And he was living with us and his girlfriend was living with us. Andria: 40:17 ... shelter, Toronto. And it's American. It started in New York. Dominic: 40:20 It started in New York, yeah. Andria: 40:20 It's just amazing. Honey: 40:21 I used to live around the corner from it. Andria: 40:24 So we went up there to Toronto this year with James and he talked to the kids there and it was just so amazing that we gave to him and then he ... right back. He's such a great person. We love him. Dominic: 40:37 But going back, I guess, chaotic times, you know when you have that ... and you look back and you wouldn't change anything for the world, right? Because that's how you learn in anything in life. At the time you think, "Oh, it's stressful, this, that, and the other" but it's just the fact that it's come full circle and we've seen the success from him and he's given back and then now from him learning what we've done to help him and what now he's done to help us. And in that full sense of a nutshell, giving back to all these hundreds of kids in Toronto. These are kids that are good kids. They come in and they're off the streets and we're ... and he came out and not only did he help launch the program but he still goes there to mentor and help and he doesn't have to do that. Dominic: 41:30 But this is a guy that's just salt of the earth and huge, huge heart and because he believes in the impact. Honey: 41:38 So does marketing, is it one thing leads to the other? Like this person was effected and brings in that person? How has this grown marketing wise? Dominic: 41:50 Yeah. I mean, like I said before, we've been very selective in how we grow this. Andria: 41:55 Well, it was word of mouth to begin with for the first... til now it's all been word of mouth. Like this person uses it, tells this person, tells this person. So we had no marketing. No sales people. Nothing. It just grew organically. Blaine: 42:09 And now you have a website. Honey: 42:10 And a staff. Andria: 42:11 Yeah, so for instance, the current captain of University of Texas' football team, Andrew Beck, went through our program and he came to Plant from Texas and he came to Plant with a 1.7 GPA and he had to sit out a year. He could not play. And it wasn't because he wasn't smart. Once again, it's because he got moved up to Varsity as a freshman in Texas and the girls and the distractions and football, all of that, and he dropped the academics. When I worked with him, I thought, "Andrew, you're so bright." He's like, "I know. I just didn't try. I just let everything fall." So sitting out a year, all that, got him back on track. He graduated. He went to Texas, he's the youngest captain they've ever had because he was captain last year as a junior. Follow him for the rest of the season, he's the most amazing person. His cousin is a man named Brian Beasley. They talked to Brian about TUF. Andrew changed his life around. Brian was in town meeting with him, called me and said, "Hey, you don't know me, but I'm Andrew Beck's cousin. Can we meet? I love the sound of this program." Blaine: 44:15 This is the craziest word of mouth marketing I've ever heard of. Andria: 44:17 No, it really is. It's all we've done. Andria: 44:20 That's all we've done. So far. Dominic: 44:21 But we do have a lot more, a little bit more specific strategy in place. Andria: 44:23 Now we're getting strategic. Honey: 44:31 Oh wow, that's very recent. Blaine: 44:39 Congratulations on pulling that off. Because some people might say, "Well it took you that long?" Hey, it's a good thing it took you that long because you got it right, it sounds like. Dominic: 44:47 Yeah, no absolutely. Blaine: 44:49 There's nothing worse than launching a digital too soon.